For many years parents and juniors, have been asking us to develop a course which would cater specifically for 8 – 14 year olds and have the same focused, performance driven results that the Academy is famous for. We are glad to say that the Warren Smith ‘Junior’ Ski Academy is now here! 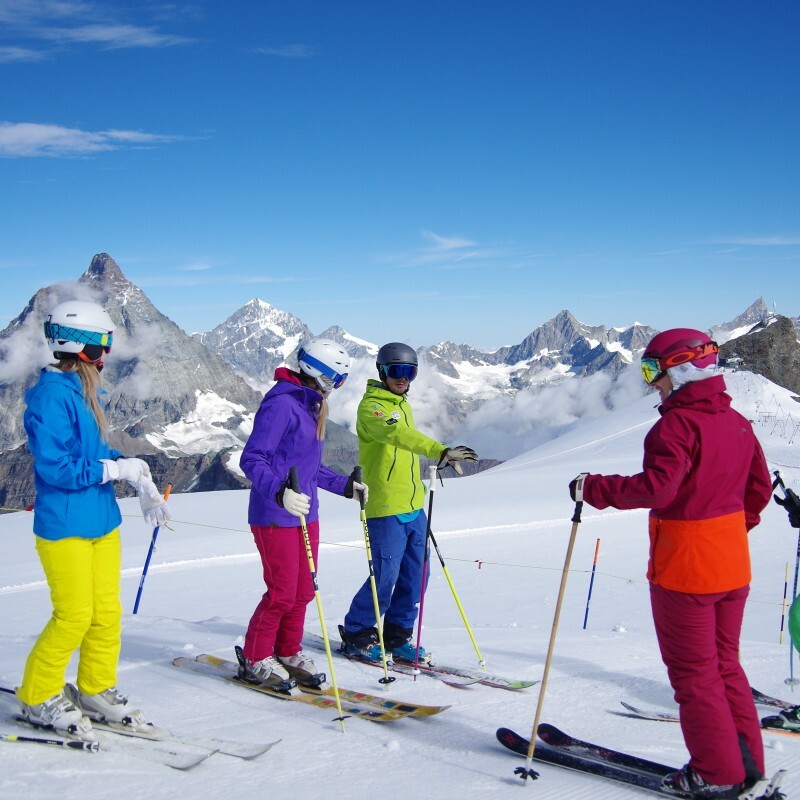 The 5 day Junior Academy course, will break down the students technique through the use of specific drills, that will then be applied back into all areas skiing. Large focuses on Moguls, Freeride and Carving will keep the bar set high on what will be a super fun challenge for all who take part. Balance based exercises will be used to create an awareness as to where our limits lie. 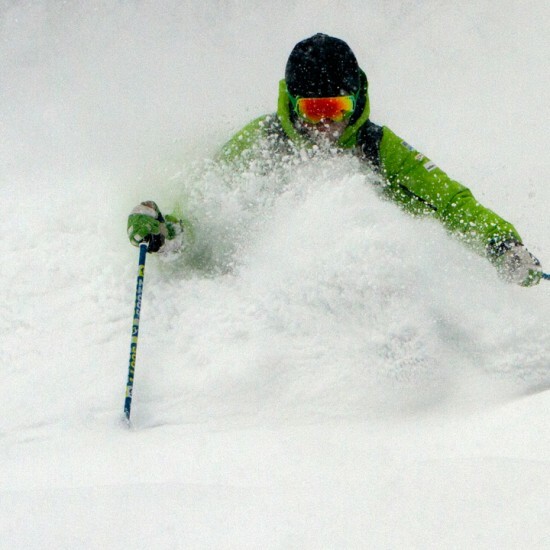 It’s impossible to find our skiing sweet spot without first working to the extremes of our bodys natural range. One legged skiing, jump turns, and controlled ‘risk taking’ will all play a huge role in helping us find a strong balanced position that we can rely on to react to whatever the mountain throws at us. Tactics play a very important role in our ability to shred a run well. We can use Tactics to help us read and assess the terrain properly and construct a run of different turns at different speeds that incorporate features to jump off, ski through or avoid! You’re pre run tactics can be the difference between a run that looks good or great! 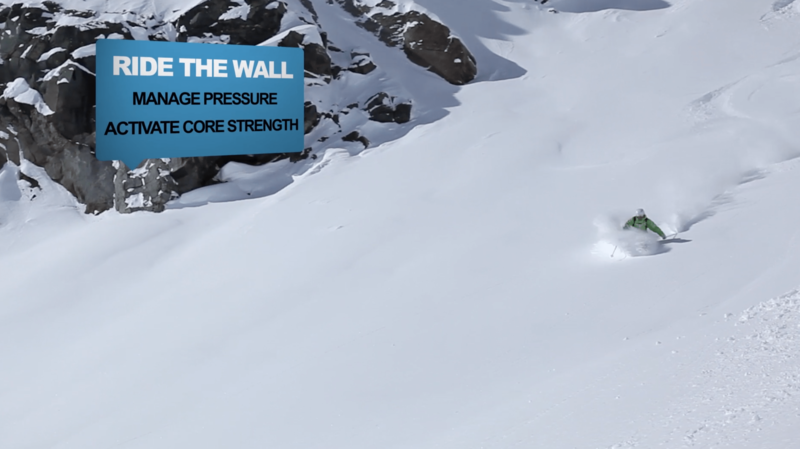 Tactics are as important for athletes at an international level in different disciplines right through to skiers who simply want to get down a run with more confidence. 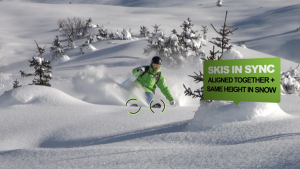 We all know Carving is fun and gives us an awesome feeling of responsiveness from our skis. We however want your carving levels to go through the roof! We’ll make the angles bigger and the grip even more dependable. We’ll look at how we can use race bread techniques and apply them all over the mountain making us ski with more strength and efficiency than ever! 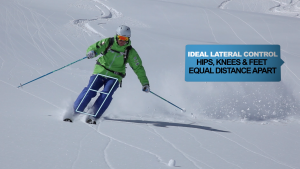 Learning the correct techniques for moguls will make them easier and more fun to ski. 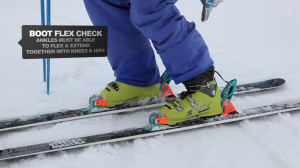 You will learn that skiing bumps correctly is actually impact free and not as bad for the knees as you might think! 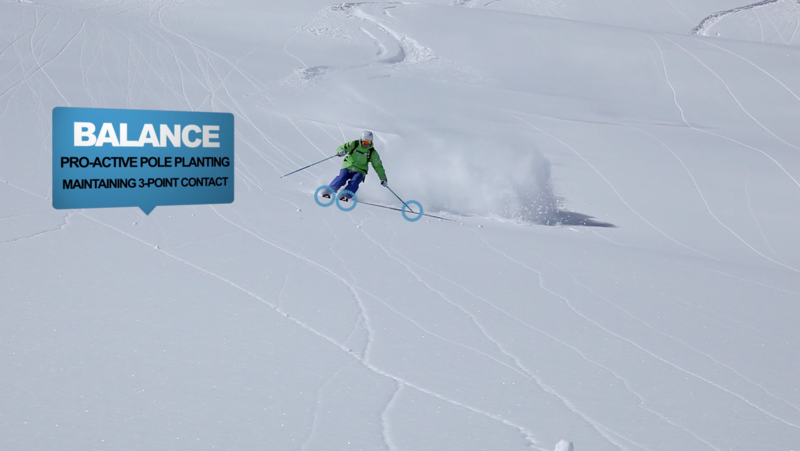 We will work on several specific on piste drills, which will translate straight into the bumps. 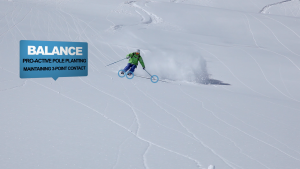 We here at the Academy have some of the best freestyle ski coaches in the UK to help perfect your skills in the park. You will learn to take off, land and slide rails properly, reducing the rick of injury and increase our style and confidence! Freestyle as well as being fun is good for your general ski technique helping with balance, co-ordination and agility. The weeks drills and skills and training of different elements all lead to one thing. Your Freeride performance. This simply means using the mountain as your playground and putting a strong technical run together in the terrain that we all want to look good in. This means anything from, Powder, choppy off piste, tree runs or anything that gives us the opportunity to express ourselves to our maximum and get people on the chairlifts chatting! We will be filming you on these runs on a daily basis and composing a library of footage for you to take away to see your continual improvement through the week. Due to the nature of the course we only admit skiers at or above level 3 onto the course. The technical skills required to train and develop safely moguls are higher and hence the reason you have to be level 3 (advanced intermediate) before booking onto course. To easily identify the levels of skiers, and roughly assess which level you currently are, please click here. 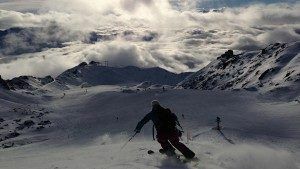 Lots of the course will hone and develop the skills necessary to ski bumps on the piste so don’t feel like you need lots of experience skiing bumps but the willingness to embrace them and trust the drills and skills is essential! As the course is focussed specifically on skiing moguls, amongst other things, this will entail quite a lot of speed work to improve the speed at which you can work your skis in the bumps. For this reason, please ensure you are as fit as you can be (cardio and muscular).